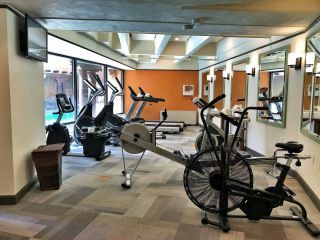 La Fonda is equipped with an efficient fitness room and a heated outdoor pool, open year round, so you can keep in shape while dining out at all the wonderful Santa Fe restaurants. 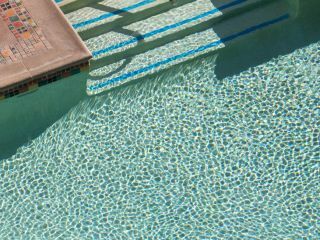 And, when done with your workout, you can relax in our hot tub, located next to the pool. All are accessible with your room key. The hours of the pool are from 9am - 4pm. The hot tub is open from 9am to 9pm. The fitness room is open 24/7 and contains 2 ellipticals with TV screens, 2 treadmills , a rowing machine, free weights and 2 bikes. All are wi-fi enabled. Please note that you have to briefly step outside by the pool to access the fitness room.